Here are some snazzy birthday facts about 18th of June 1975 that no one tells you about. Don’t wait a minute longer and jump in using the content links below. Average read time of 10 minutes. Enjoy! What day was my birthday Jun 18, 1975? June 18, 1975 was a Wednesday and it was the 169th day of the year 1975. It was the 25th Wednesday of that year. The next time you can reuse your old 1975 calendar will be in 2025. Both calendars will be exactly the same! This is assuming you are not interested in the dates for Easter and other irregular holidays that are based on a lunisolar calendar. There are 57 days left before your next birthday. You will be 44 years old when that day comes. There have been 16,014 days from the day you were born up to today. If you’ve been sleeping 8 hours daily since birth, then you have slept a total of 5,338 days or 14.61 years. You spent 33% of your life sleeping. Since night and day always follow each other, there were precisely 543 full moons after you were born up to this day. How many of them did you see? The next full moon that you can see will be on May 18 at 21:13:00 GMT – Saturday. Fun stat: Your first one billion seconds (1,000,000,000) happened sometime on February 24, 2007. If a dog named Winn - a Bull Terrier breed, was born on the same date as you then it will be 192 dog years old today. A dog’s first human year is equal to 15 dog years. Dogs age differently depending on breed and size. When you reach the age of 6 Winn will be 40 dog years old. From that point forward a small-sized dog like Winn will age 4 dog years for every human year. American Revolutionary War: British troops abandon Philadelphia. Charles Darwin receives a paper from Alfred Russel Wallace that includes nearly identical conclusions about evolution as Darwin’s own, prompting Darwin to publish his theory. The Troubles: Members of the Ulster Volunteer Force (UVF) attack a crowded pub with assault rifles in Loughinisland, Northern Ireland. Six Catholic civilians are killed and five wounded. It was crowded with people watching the 1994 FIFA World Cup. The Charleston Sofa Super Store fire happened in Charleston, South Carolina killing nine firefighters. What does my birthday June 18, 1975 mean? 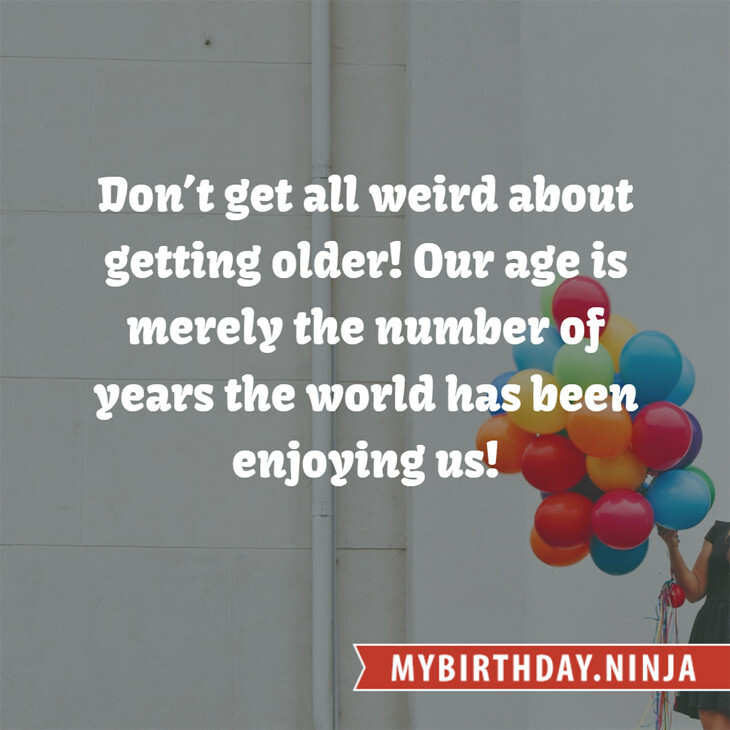 Your birthday numbers 6, 18, and 1975 reveal that your Life Path number is 1. It represents initiative, potential and singularity. You are a born leader. You insist on your right to make up your own mind; you demand freedom of thought and action. The following celebrities also have the same life path number: Kelly Misa, Margot Robbie, Mala Powers, Polly Walker, Rye Rye, Caroline Lesley, Richard Arlen, Juris Fernandez, Paul McCarthy, Paris Themmen. What is the birthday horoscope for Jun 18, 1975? The Western zodiac or sun sign of a person born on June 18 is Gemini ♊ (The Twins) – a mutable sign with Air as Western element. The ruling planet is Mercury – the planet of communication. According to the ancient art of Chinese astrology (or Eastern zodiac), Rabbit is the mythical animal and Wood is the Eastern element of a person born on June 18, 1975. Fun fact: The birth flower for 18th June 1975 is Rose for devotion. 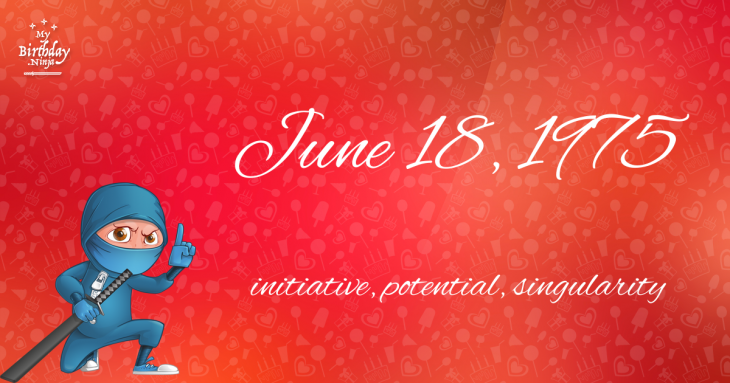 What is the Love Match for Jun 18, 1975? When it comes to love and relationship, you are most compatible with a person born on August 5, 1948. You have a Love Match compatibility score of +212. Imagine being in love with your soul mate. On the negative side, you are most incompatible with a person born on January 11, 1994. Your incompatibility score is -262. You’ll be like a cat and a dog on a love-hate relationship. Arf-arf, I want to bite you. Meow-meow, stay away from me! The number-one hit song in the U.S. at the day of your birth was Love Will Keep Us Together by Captain & Tennille as compiled by Billboard Hot 100 (June 21, 1975). Ask your parents if they know this popular song. How many babies were born on June 18, 1975? Base on the data published by the United Nations Population Division, an estimated 121,558,022 babies were born throughout the world in the year 1975. The estimated number of babies born on 18th June 1975 is 333,036. That’s equivalent to 231 babies every minute. Try to imagine if all of them are crying at the same time. What is the popular baby name on 18 Jun 1975? Here’s a quick list of all the fun birthday facts about June 18, 1975. Celebrities, famous birthdays, historical events, and past life were excluded. Try another birth date of someone you know or try the birthday of these celebrities: January 6, 1983 – Mithra Jin, South Korean rapper (Epik High); June 4, 1951 – David Yip, English actor and playwright; September 27, 1972 – Gwyneth Paltrow, American actress and singer.